Any endeavor that brings together Donald Ross, A.W. Tillinghast, Robert Trent Jones and Jack Nicklaus must be seriously mulled over by golf enthusiasts, and these legends and many other noted designers have their talents on display throughout the New York Golf Trail. 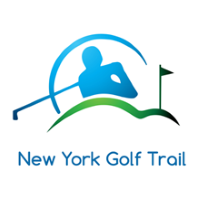 Divided into seven regions throughout the state, the New York Golf Trail features 22 locations, seemingly all of which resonate with history and gravitas. The courses are extremely lush, many of them meandering through thick forests. 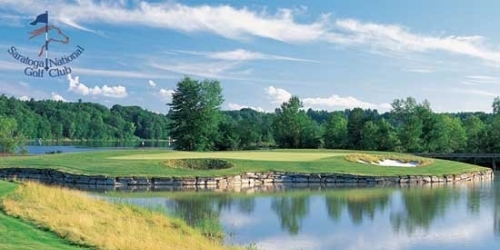 And the quality of golf is stellar: In a state practically bursting with world-class courses, The Sagamore has been rated fifth best public course in the state, and the 36 holes at the Malone Club, designed by Robert Trent Jones, regularly receive praise for their stunning condition. And yet to highlight any of these courses over the others in the New York Golf Trail is beside the point, since any golfer could easily learn to love them all. 845-463-0900 Public Robert Trent Jones, Sr.
518-483-2926 Semi-Private Robert Trent Jones, Sr.
315-638-0092 Semi-Private Robert Trent Jones, Sr.
518-891-1402 Public Seymour Dunn & Willie Dunn, Jr.
315-824-1432 Semi-Private Robert Trent Jones, Sr. The Golden Arrow Lakeside Resort in the heart of Lake Placid has one of the top locations in town. It is directly on the shores of Mirror Lake and in the heart of the Olympic Village which puts everything literally right outside your door. Try the newly renovated heated indoor pool with sauna, steam room & hot tub or relax on the private, white sand beach. Swim in the cool, clear waters of Mirror Lake and enjoy complimentary canoes, rowboats, paddle boats & kayaks for exploring the shoreline. Lake trout, bass & perch abound for the fisherman. Watch the The Foursome - Casperkill Golf Club Poughkeepsie Video.